Despite the best of intentions, nearly everyone will experience dental decay, injury, or pain at some point in their lives. At Covina Family Dental, our team is ready to help you recover your oral health whenever needed through restorative dentistry. Dr. Tran has the skills needed to handle minor cavities, serious tooth loss, and many concerns that fall somewhere in-between. 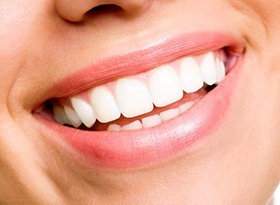 We look forward to helping you get your smile back on the right track here in Covina, CA – contact us today! Tooth loss can be devastating, but it doesn’t have to be permanent. 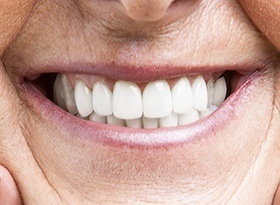 Dental implants are the premier solution in modern oral healthcare for recreating full smiles, offering unparalleled stability, cosmetics, function, and longevity. Our practice can help patients restore their placed implants with top-tier restorations that are virtually indistinguishable from natural teeth. Dental crowns and bridges are true cornerstones of restorative dentistry, helping patients regain strong, reliable teeth after damage, infection, or even loss. 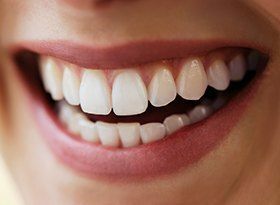 Better yet, Dr. Tran offers high-quality porcelain materials that are an ideal match for natural tooth enamel, resulting in improvements that are more aesthetically confident as well. In today’s world, dark-colored amalgam is no longer the only treatment option for patients with cavities. Dr. Tran uses tooth-colored composite resin, which is much more biocompatible and conservative material that comes in a variety of lifelike shades. 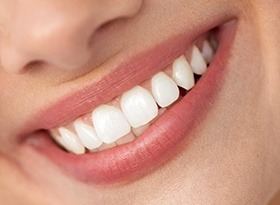 The final result is so seamless that most patients can’t actually distinguish the filling from the rest of their smile. When you’ve lost several natural teeth or even an entire arch, it can drastically hurt your overall quality of life. Maybe you avoid conversations with friends because you don’t want them to notice what’s missing, or maybe it’s too difficult to chew favorite foods properly. Thankfully, Dr. Tran can help you recover your best smile with a modern, custom-made denture. Sometimes, dental decay/injury is too significant for a filling to treat but not quite extensive enough to require to a full dental crown. When faced with these circumstances, a custom-made inlay or onlay could be the ideal “go-between” solution here in Covina. These restorations are designed to fit within or around the cusps (raised surfaces) of the tooth, replenishing its strength while preserving the remaining structure. Root canal therapy may have a scary reputation, but this procedure can actually be a saving grace that rescues badly infected teeth from the brink of extraction. 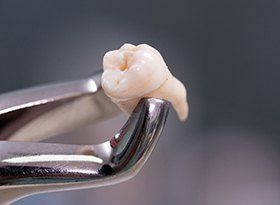 Dr. Tran will remove harmful bacteria from within the affected tooth, fill it with a biocompatible substitute for the original pulp, and place a custom-made restoration as a final touch. Today’s modern technology and comfort techniques make this process very comfortable and successful. Removing a natural tooth will never be our team’s first choice for patients in need, and you can trust that Dr. Tran will consider all other restorative options first. However, there are situations where it can be a necessity, such as when a tooth has suffered a traumatic injury or needs to be removed to make way for important orthodontic treatment. Children may need this service as well if they have a stubborn “baby” tooth that is impeding the eruption of its adult counterpart. We will handle every step of this process with a gentle touch, helping patients stay calm and comfortable until they’re ready to leave the treatment chair.